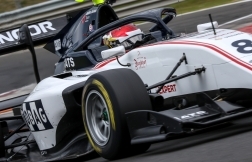 Fabio Scherer is targeting a consistent weekend of racing when he takes to the track for the eighth round of the FIA Formula 3 European Championship at the Nürburgring this weekend. The Swiss driver made a welcome return to the Rookie Championship podium at Misano in Italy last month to underline his massive potential in the F3 category. But he remains keen to avoid mistakes and bad luck this weekend so he can show his impressive speed across an entire race meeting, rather than in flashes. 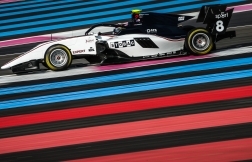 He knows that will allow him to present a strong challenge in qualifying and during the trio of races that make up an FIA Formula 3 European Championship event. “I’m hoping the Nürburgring will be a good event for me because things have been a bit up and down for me recently,” the Stobag-supported driver explained. 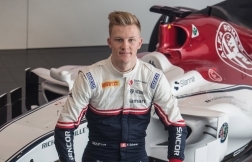 “I’ve never had a problem in terms of my pace in the F3 car this year. But some of my results have been affected by other issues. 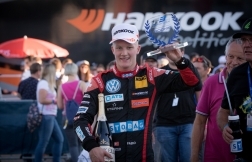 Fabio has shown good form at the 3.62km Nürburgring in the past, having secured a P3 finish and set the fastest lap of the race during one of his ADAC Formula 4 Championship races at the historic circuit in 2017. Fabio’s race weekend will get underway on Friday when he takes part in the first F3 qualifying session at the Nürburgring. The first of his three races will be held on Saturday morning (09.20), while he’ll take part in the second and third qualifying sessions that afternoon. The final two races of his weekend will be held on Sunday (09.20 and 14.50). © 2019 Fabio Scherer. All rights reserved.